The family of Daniel Jezek wants to extend our profound thanks and gratitude to the BrickLink and LEGO communities worldwide for their tremendous outpouring of tribute and sympathy. We’ve created Dan’s memorial page to honor him as the founder but also as an inspiration to all who will come to this website. This page is a celebration of Dan’s life, with his life story, achievements, a collage of photos and even examples of his personal MOC and LEGO collection for those interested in knowing. There’s a place for those who would like to interact with messages and even stories of their own. 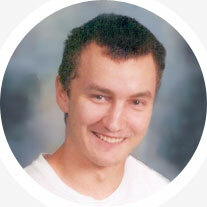 Dan Jezek founded BrickLink in 2000 and operated the site for over a decade until his death at the age of 33. He created a profound example of helping a community grow and connect via the web. The “link” in the name BrickLink means “real connection between people.” Through the years, BrickLink continues to unite several millions of fans around the globe who share the same passion for all things LEGO. Learn more about Dan Jezek and his involvement in the creation of BrickLink. Listitina, or “The Little Fox” has been with Dan ever since he was 2 years old. She now travels with Dan’s mother to every LEGO convention. I would like to say a great “thank you!” to Dan for his great work, BrickLink is not only an online store, but a place where everyone can make his inner child come out and enjoy the wonderful LEGO world. Without Dan, all of us would have lost something great. A WEBSITE WITH A BIG HEART! Like so many of the messages regarding Dan, I only got into LEGO a year ago (2014). I was told by a local South African expert store to visit BrickLink to broaden my horizons, and since then I have never looked back. It’s testament to Dan who made this site stand for something unheard of on the Internet. To the founder of such an immensely close-knit and good-hearted member-based site, I say thank you and god bless. Deepest condolences on the fourth anniversary of your son’s death. I read his eulogy tonight and it brought tears to my eyes. I am a 91’ Kalaheo grad and worked at UH Manoa when Dan attended. Thank you for raising an inspirational and innovative young man who has brought joy to our family and tens of thousands of people across the globe. We use BrickLink to buy LEGO for my 5-year-old son and I tell him that a person from dad’s high school made it all possible. Thanks to you and your son for bringing joy to our family. We will honor his memory and legacy forever. Mahalo. I came across BrickLink a little over 10 years ago when looking for a couple parts to rebuild a train set from my childhood. I found an incredible and diverse community of enthusiasts that re-ignited a love for LEGO that I still enjoy today. I didn’t have the opportunity to personally interact with Dan. However I am thankful for his initiative and vision to create a unique and valuable resource for LEGO fans. I found BrickLink a few years ago and it’s been a dependable resource for me ever since. What an amazing community. I’m 43 years old and have found memories of LEGO as a child. I didn’t touch it again for almost 30 years until visiting my parents with my son. We discovered my old LEGO and were instantly hooked. Needing a location to find all the wonderful new pieces created since I last explored the LEGO world I found BrickLink. Amazing. Thank you for helping me to enjoy LEGO as an adult and introducing my children to this amazing toy. I would like to commemorate Dan by sharing my own personal LEGO story. I was born in 1977 (same year as Dan) and my LEGO addiction started when I was 6 years old. I soon discovered the wonderful world of LEGO trains! Eventually, I lost interest in LEGO and packed it away for my children someday. About a year ago I decided to reintroduce my old LEGO trains to my 4-year-old son, Tommy. But then I discovered something magnificent! The LEGO magic has caught me and I became a LEGO addict again. I was on my journey and, fortunately, LEGO company customer service referred me to BrickLink. I’m now a Buy/Sell member on the site. I would like to thank Dan and his family for keeping my dream alive! Without Dan’s vision of bringing LEGO fans together in a place where they might obtain that long-retired set, or that one critical piece for their MOC that is no longer available anywhere else, we might all still be imagining what creations might have been. Every time someone buys or sells LEGO through the great BrickLink, we add another Brick to the Legacy of Dan Jezek. May Dan have received his greatest desire for infinite Bricks and infinite LEGO Maniacs in the great LEGO Universe beyond. Thanks, and LEG GODT, Dan! And Play Well to all you LEGO fans, especially those benefiting from his awesome legacy! I'm still relatively new to the Brick Link community, having only been a member since September 19, 2012, but I find it a bittersweet return to the site at this time to actually learn of the untimely passing of its founder four years ago. I read through Dan's bio in an effort to understand who this shining star of the AFOL world was and where he came from, and to marvel at what he has left for all those who will carry his dream onward and upward. Without his vision of bringing LEGO fans together in a place where they might obtain that long-retired set, or that one critical piece for their MOC that is no longer available anywhere else, or even to acquire a specific type of piece in bulk in a particular color, we might all still be imagining what creations might have been. Every time someone buys/sells LEGO through the great Brick Link, we add another Brick to the Legacy of Dan Jezek. May Dan have received his greatest desire for infinite Bricks and infinite LEGO Maniacs in the great LEGO Universe beyond Rift. Thanks, and LEG GODT, Dan! And Play Well to all you LEGO fans, especially those benefiting from his awesome legacy! And Long Live LEGO Universe! LEGO is one of the best toys in the world, it stimulates the intellect and imagination and unites people of all countries. BrickLink is the best tool to access parts that we otherwise could not get and creates better LEGO. The story of Dan and his family is very emotional. I would like to thank his family, his father for the first LEGO, and especially his mother for the sacrifice made to encourage and assist her son in their education and development under such adverse economic conditions. They are an example to all parents who wish that one day our children can create something so good with the global impact as Dan did. On behalf of myself, my family and every Lego fan in Israel, I wish to express my condolences for the loss of Dan. Dan made our Lego life much more rich and made the impossible – possible! Without Dan's vision and BrickLink platform none of us would have been able to fulfill our Lego dreams and wishes so easily and smooth. I think that Dan should be in the same line together with Bill Gates, Mark Zuckerberg and Steve Jobs - people who made the difference, people who brought more value to the everyday life, innovators, people that the History will remember, people that we will remember. Dan will always stay in our hearts. I would thank you for this site. Lego is not a toy, but a way of life. My brother, sister and I were given Lego sets back in the early sixties. I have been a Lego fan ever since. Now my two Grandsons are Lego fans too. I joined BrickLink in May 2012 to get/buy bricks I could not find at other sites ( I wondered where people were finding the rare bricks! ). Thanks to Dan and his legacy of the BrickLink site, Lego fans from around the world can build & create the models they want to. Now everytime I use BrickLink, I think of a young man who had great vision and achieved it. I never knew this existed... And what an accomplishment in such a short time. It's funny how people around the globe respect passion in a project. It's an energy people feel from something magical. Dan, I started using bricklink to first find a couple of bits. I now have 200-400 pounds. Thank you for great work. Dan has given us BrickLink. Thanks to that I started my LEGO hobby in 2006, followed by my own little business in 2013. Although I didn’t know Dan personally, we did work together in 2009 / 2010 changing supplemental sets in the catalogue (System & The Building Toy). I enjoyed working with him this once and I still enjoy BrickLink. Thanks Dan, RIP! Many many thanks for his great idea and - to make it real‬. I was just reading the lovely tribute to Dan on the Bricklink homepage, and as I was reading about how it keeps him – and all of us – forever young, a Joan Baez song came on the radio. Peccato tu non possa vedere quanto è utile il tuo lavoro. Hai creato per i collezionisti un qualcosa di unico. The measure of a life is not its length, but rather how many other lives it touches. Dan touched thousands of lives, including mine and my son's. BL has been a portal to many adventures for us. It is a model of the best of the Internet, combining responsible commerce with community values. I had no idea that this wonderful resource was the product of one truly gifted young man. Having now read of Dan's life, I am all the more impressed by his achievements as a person, as an immigrant, as an American, and as a human being. I know the pain felt by his loved ones is great, but it pleases me to know that they will have this one lingering testament to Dan's greatness. Stone weathers, print fades, but ideas can last forever. Dan's idea will continue to touch lives for decades to come: that is a power even his premature passing cannot take from him. It is deeply saddening to see a younger one go, but always remember this: Those whom God loves most, die young. In the supersonic world of the Internet, we often take for granted the people who helped build this vast network. We often forget to thank those who helped bring the world closer. BrickLink.com has been a pioneering website which brought back my love for Lego. I live in India, and in my country, we don't get Lego in toy stores. Websites like BL allowed me to purchase quality LEGO items from around the world. Without this website, I would have never recreated my childhood memories, and today I know that I owe all this to Dan. I will be forever grateful to Daniel and the whole Jezek family. May Daniel's soul rest in peace, and may his fond memories forever shine in your hearts. June 28, 2000. That's the date I became a member of BrickLink. BL works so well because Dan understood not only about building a sturdy, functional structure, but because he understood aesthetics and the human desire to connect and interact. BL is "OURS" because Dan was "US", in all our wonderful facets and permutations. Rest in peace Dan, your amazing idea brought the child that once lived back out from inside me and reintroduced me to a world that I thought was long lost to me as an adult. Through your amazing work with BL I have been able to re-live my childhood and been able to bring a new piece of happiness and joy to my life. I picked up an old Lego catalogue that I found in my cupboard about 3 years ago and saw some of the old trains that I once only wished I could have when I was a child. I decided to type in the model number on the internet to see if I could find it and up came BL…three years on and many, many thousands of dollars later my life has been given an extra piece of happiness that I could only have dreamed of before BL. I will always remember you for your contribution to my life despite not ever knowing you. We started our small cottage business through BL in December 2005 after discovering the website while looking for LEGO parts for our First LEGO League Robotics team. We'd never before considered starting a business and would not have done so without Daniel's web. Over the past five years, our two teenage sons have helped run the family business. In the process they learned ever so much about the world of entrepreneurship and the nuts and bolts of running a small business—all thanks to Dan. Our family owes him a huge debt of gratitude and thanks for providing this opportunity. Our eldest son is just about to head off to engineering school and his life ambition is to someday own his own engineering firm. Discovering BL and having the opportunity to help with a cottage business has provided a direction for his life. Thank you for Dan and the direction he provided for our son's life. I also wanted to express our appreciation as the income that comes from our BL shop will be paying his way through college and we are deeply grateful for the extra income. Dan has made a profound and lasting difference in the lives of so many others. We are forever grateful. Dan was a phenomenal person and has done many wonderful things in his life. I am happy that we were able to share a love of LEGO. (Like him, I received my first LEGO at a young age and they have remained an important part of my life). Thanks to Dan, through BL, I have been able to share my passion (for these amazing building blocks) with others around the world. He will be greatly missed, and I hope his family finds comfort in the incredible support that this worldwide community offers. My prayers are with you and your family. As has been mentioned by so many before me, Dan's work has made possible amazing building projects and brought us all so much joy and creativity. Without BL we would have missed out on all of this, all just because of this single, unique project called BrickLink. But much more than this to me, BL has given me a way to raise the funds I needed for my studies and enabled me to see my girlfriend though these years. 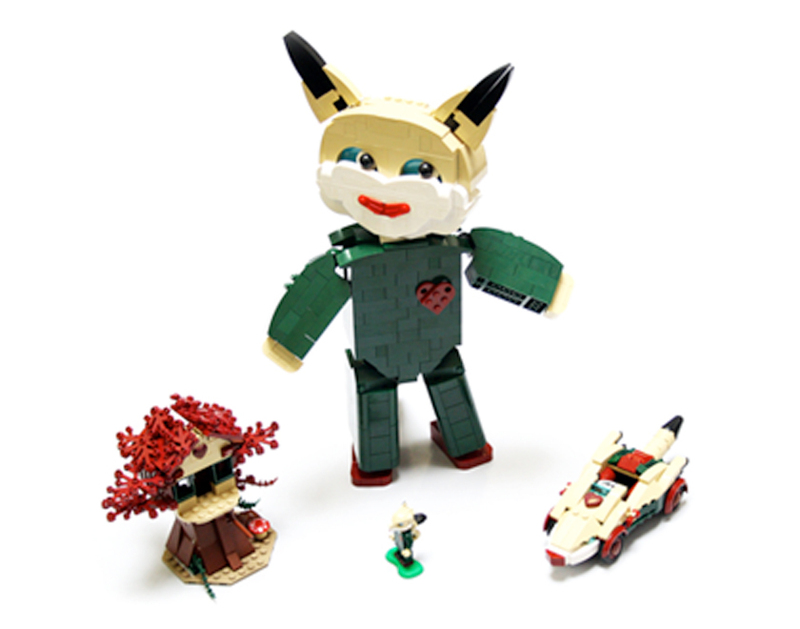 In a way, everything important in my life is partly built up by my reliable friend BrickLink. I would never have been able to maintain a job other than this beside my full time studies. This is a lifesaver to me. I can't tell you how much BL has contributed to my life. I owe so much to Dan. Thank you for giving me this hobby and for supporting my life in a way that has made many hundreds of customers happy as well. However short your life may have been, you truly achieved something meaningful for a lot of people. didn't know Dan as he didn't know me as for most of us who use this, but I can only hope I speak for all when I say: he built us "if not" the greatest gift ever received. And it was BrickLink. Thank you, and I am very sorry for your loss. Dan created an amazing website for all fans of LEGO. He has left his mark on this world, and all of us are better for it. Thank you for keeping his dream alive. I'm relatively new member but a life long Lego fan. I just wanted to write that I will also be remembering Dan and thinking of him every time I use this wonderful community he has created. God bless you Dan and your family. I know you are sitting up in Heaven now, looking down on us connecting from all over the planet in the space you created for us and that you are now in a place where you'll never be short of a particular brick again. Dan, you will be greatly missed, so glad God put you here on this earth, you have made so many people happy. In my humble opinion, Dan Jezek can be described as the Steve Jobs of the Lego Community. If it weren't for Dan, we might have never had such a great way of enjoying our hobby. I have never met him, but BL and thus Dan, means a lot to me. Dan was a very dedicated owner, creator, designer, and programmer, who had such a grasp for his BL. I was often amazed at how fast a suggestion from a member was implemented, and there were hundreds if not thousands of suggestions from all over the world. He had to have eaten and slept BL. It is not my business to know why Dan was taken from us so early, but I hope it was not from his pursuit of creating and maintaining BL. It is a daunting task to take something from nothing to such a creation. Thank you for sharing Dan with us and for continuing with Dan's creation. I never met Dan. I didn't even know the story behind BL. The only reason I use the site is because my husband died suddenly and unexpectedly last year and left behind a huge Lego collection. Life will never be the same for any of us. I am very grateful that you shared Dan's story with all of us. I have repeatedly extolled the virtues of this site. People are always amazed when I describe the features—even more amazed when they visit. My husband used the site to purchase pieces, and he earned a living programming so it is full of memories. I will think of your Dan and my Dean. I bet they would have gotten along famously. I still remember his first announcement of this site (then BrickBay), saying the code was almost done and asking if there would be good adherence. Many adhered right away and many, many more, would come after and shall come in the future. Please keep Dan's dream alive, thank you. I am sad for passing of Daniel. As a Mom, I am sad. As a Lego fan, I am sad. As a BrickLink customer, I am sad. As a BL customer, I will be forever grateful that he had the vision to create such a site. As a Lego fan, since 1960, I was hooked. As a mom, I still spend time with my children as we sit on the floor, play and create, talk and share in our lives. Great memories! You should be very proud of what Dan created with BL. It is a wonderful resource for all things Lego. Dan made a difference in the world. His dream lives on and continues helping hundreds of thousands of people worldwide! I am very grateful for this site and thankful to the family. Dan's legacy will outlive us all, may we all raise a glass to this great guy who started so much, and who's dream will never stop. Dan will be remembered many times over. What he built here is simply amazing, and the memories that have been created because of him. BL will be remembered forever. Just think of all the kids and dads/moms that sit down and build with parts/sets they buy on here and bond with each other. That is something those kids will grow up and remember when they become the moms/dads. And those memories might not have happened if Dan didn't build this site! Bringing people together around the world who have a common passion is the great work of Dan. Long life to BL which perpetuates his memory. How about a "Pop Up" with a few seconds-movie of Dan Jezek, like they do in advertisements? That will be a statue-like tribute! Thank you Dan. Now in my forties, I only joined BL this past summer and had never heard of Dan Jezek before. But please be assured that this whole website resource maintained in his memory is too valuable. Truly, it is a monument to who must have been a great man. The whole world is united in this wonderful hobby, thanks to you. Never forget you. Thanks to your family that allows us to continue to work "playing." BL is an international memorial to how many lives he has touched with his love of Lego. It’s a big part of my and my family’s lives. Two years ago our five year-old daughter Juli passed suddenly and unexpectedly. Thank you for keeping Dan's legacy alive. It is a valuable gift to all of us. Thank you Dan! I only joined about a year ago, but I am quite impressed with what Dan has created here. His legacy will live in all the great members, who not only use this site to fund their Lego projects, but also offer some of the best insight, advice and sometimes needed constructive criticism. I wish I had found this place earlier and had a chance to interact with Dan and tell him what a wonderful place he created for all of us. Thanks Dan, and also thanks to all who work behind the scenes to keep Dan's idea going strong. Dan has truly been a great influence on so many people and our passion for a wonderful hobby that keeps all of us young. I found BL 5 years ago and what a fantastic idea and opportunity for so many. I am 36 years old, a husband and father of 4 in Washington State. I found Dan's memorial page very thoughtful and well presented. I never knew the name of BL founder nor his background. I pray that the family can take comfort in knowing that someone so inspirational, so kind and giving as Dan, is doing good and carrying on his new work: showing his love and compassion to others in the hereafter. Your BL "baby" is in good hands. This "site is the Statue" you deserve!